Today i will discuss how to configure bandwidth limit cisco switch port. At first create policy map then apply it into port which port you bind specific bandwidth. In this case i will show you how to configure 1 MB Bandwidth limit in a switch port. Go to config mode by: conf t command then follow bellow command. 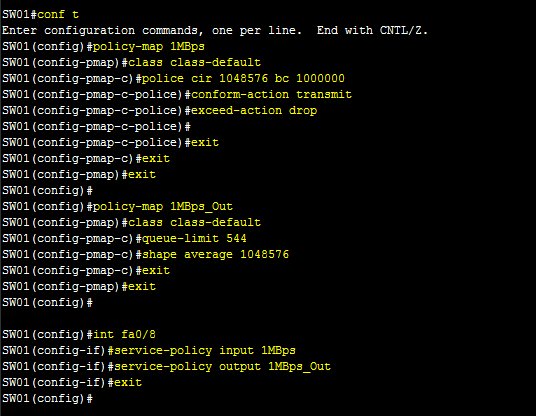 You can show your policy map by: sh policy-map command.